State revenue up in October. The monthly report from the Commission on Government Forecasting and Accountability (CGFA) monitors State cash flow and economic trends. The CGFA numbers depict continued healthy revenue numbers in October 2018. Personal income tax receipts during the month were up by $145 million from October 2017, an increase of 9.9%. 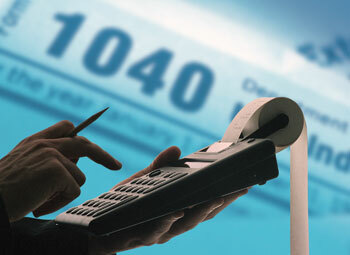 Sales tax receipts increased by $71 million during the same time-span, a year-over-year increase of 10.7%. The State’s sales tax numbers reflect receipts from an increasing proportion of retail sales made online to Illinois addresses. Enforcement of Illinois sales taxes on online sales is now permissible under nationwide sales tax law. The sales tax law change was approved by the Supreme Court earlier this year in its “South Dakota v. Wayfair” sales tax decision. The positive numbers in Illinois’ two largest general revenue cash flow streams signaled a continued atmosphere of prosperity and low unemployment in many regions of the state. Not all cash flow numbers were positive in October 2018. Negative numbers were posted in several areas where special excise taxes are levied. Net proceeds from the Illinois State Lottery dropped by $12 million as gamblers moved to new platforms. Riverboat casino tax revenues fell by $2 million in further affirmation of the same overall trend line. Cigarette tax receipts dropped $5 million as Illinois reduced its consumption of tobacco products. These trends away from so-called “sin tax” proceeds are expected to continue and the overall numbers reflect Illinois’ growing dependence on personal income taxes and taxes on retail sales. CGFA released their October 2018 report on Friday, November 2. The figures for 2018 were presented as part of the current school-accountability push championed by the Illinois General Assembly. School reform measures, including the school funding formula rewrite of 2017-18, include a massive increase in the metric data that Illinois parents, taxpayers, employers, and educators can use to gauge the effectiveness of individual schools and the state school system as a whole. The Illinois Report Card, released every year since 1996, contains reports on the overall performances of Illinois schools and school districts. Since 2014, the Illinois Report Card has contained enhanced metric data intended to provide a comprehensive look at the productivity and success of Illinois schools and school districts. Data within the Report Card is sorted by school, school district, city, or county. Illinois Report Card data indicates record Illinois school performance on a variety of measures. 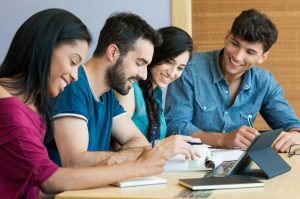 Data from a record number of enrolled students was reported, and subgroups also showed record high numbers. More Illinois students are heading to four-year and community colleges than in any previous year in which this data was compiled. In data collected on the Illinois high school Class of 2017, compilers followed how many of these graduates had gone on to college. Twelve months after high school graduation, the Report Card shows that nearly three-fourths of Illinois’ young adults had enrolled. In addition, more students took high school Advanced Placement (AP) courses, which include potential college credits, in 2017-18 than in any previous year. SAT test became statewide standard for Class of 2018. In an effort to standardize the data generated by high schools throughout Illinois, the Illinois State Board of Education (ISBE) now mandates that most Illinois high school students take the standardized Scholastic Aptitude Test (SAT). This mandate first became completely effective for students in the Class of 2018, the student group that was enrolled in high school classes targeted toward graduation at the end of the 2018 spring term. A report from the Educational Testing Service (ETS), the nationwide testing and assessment organization that operates the SAT exam, says that 98% of all Illinois students in the Class of 2018 took the SAT at least once. The ETS reports that Illinois students’ collective and average Class of 2018 SAT performance dipped down in relation to the Class of 2017. This was a predicted outcome, the result of tens of thousands of new Illinois SAT test-takers who are not aiming at a four-year college experience. Illinois SAT test-takers used to be a relatively exclusive, college-bound subgroup, but the Illinois Class of 2018 mean total score of 1022 (reading/writing 514, math 508) includes numbers that reflect the decision to make the formerly specialized test a measuring stick for what has become the median overall Illinois high school student performance. Illinois high school Class of 2018 numbers on another major standardized test platform, the ACT, soared in relation to the Illinois Class of 2017, for reasons closely related to but exactly the opposite of what happened with the SAT. As of the Class of 2018, the ACT is no longer administered in Illinois as a universal standardized exam, but is now only taken by college-bound students; and the only Illinois students who now take the ACT test are self-selected ones. A small group of Illinois high school students are excused from the SAT requirement. Many of the students in this subgroup are students whose individualized education programs (IEPs) do not include standardized testing. The SAT report was released on Monday, October 29. 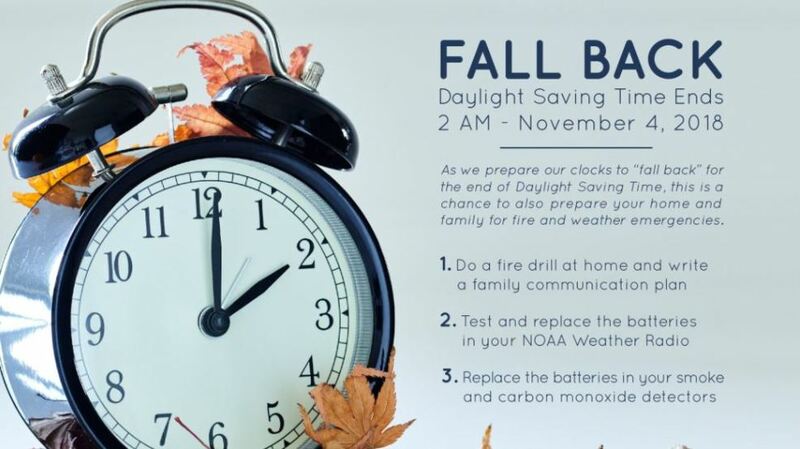 The Office of the State Fire Marshal (OSFM) is asking Illinoisans to take a few minutes this weekend to change and test the batteries in their smoke alarms while setting their clocks back an hour. Clocks fall back an hour for Daylight Saving Time this Sunday, November 4. 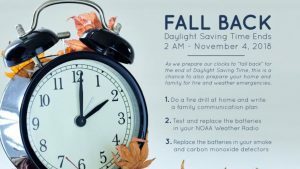 “Daylight Saving Time is a great built-in reminder for us all to check that our smoke alarms are working in case of an emergency,” said State Fire Marshal Matt Perez. The National Fire Protection Association (NFPA) reports that between 2009 and 2013, three in five home fire deaths occurred in homes that either did not have smoke alarms or the alarms did not work properly. The batteries were either missing or disconnected in about half the homes that did have smoke alarms when the fire broke out. A new Illinois law requires a ten-year smoke alarm be installed in all homes that do not have hardwired smoke detectors by the year 2022. “Be Alarmed!” is a fire safety education and smoke alarm installation program administered cooperatively between the Illinois Fire Safety Alliance (IFSA) and the Office of the Illinois State Fire Marshal (OSFM). This program provides smoke alarms to Illinois residents through their local fire departments and can aid with obtaining and installing these newly required alarms. Smoke alarms are required on every floor of the house and within 15 feet of every bedroom. For more information on our “Be Alarmed” program, fire safety and prevention, please visit OSFM’s website. Firearm deer season approaches; final season of orange-only hunting gear. The first firearm weekend will open on Friday, November 16. Archery deer hunting will be closed during the three days of firearm deer season between November 16 and Sunday, November 18. A second firearm season will open on Thursday, November 29, and close on Sunday, December 2. Hunters are welcome to use their bows during days of non-firearm hunting through January 20, 2019. A new law sponsored by Rep. Dave Severin allowing blaze pink hunting gear will not take effect until January 1, 2019, and the new gear will not be official during most of the archery season and all of the firearm days. 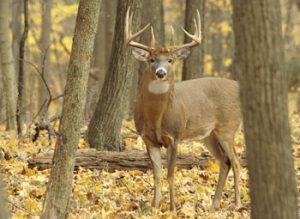 The Illinois Department of Natural Resources (IDNR) has allocated additional days to muzzleloader-only deer hunting, in synchrony with bow hunting, starting Friday, December 7. IL Department on Aging Assists Seniors for Medicare Open Enrollment. The Illinois Department on Aging’s (IDoA) Senior Health Insurance Program(SHIP) is reminding seniors of the free counseling assistance available to Medicare-eligible individuals and their caregivers during Medicare Open Enrollment occurring October 15th through December 7th. 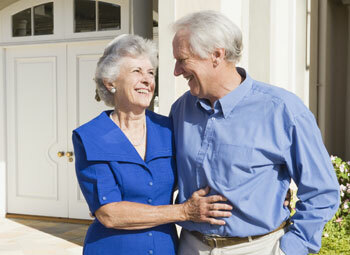 During open enrollment, eligible adults can adjust Medicare Advantage or Medicare prescription drug coverage, move from original Medicare to a Medicare Advantage plan – or vice versa – switch between Medicare Advantage plans, join a Medicare Prescription Drug Plan, or switch or drop existing drug plans without penalty; all of which can be overwhelming and confusing. With over 350 SHIP offices across Illinois, the agency stands ready to refer clients to their closest site, which can schedule an appointment to assist with open enrollment. SHIP counselors work through the Medicare.gov system to help seniors and people with disabilities make the best choices for their individual situation. Contact SHIP, by calling 1-800-252-8966, weekdays 8:30 a.m. – 5:00 p.m. For more information about SHIP, including a list of SHIP locations, visit the website at: http://www.illinois.gov/aging/ship/Pages/default.aspx. To compare 2019 drug and health plans on your own and to find out more about Medicare options, including preventive services now covered, visit the federal website at: www.medicare.gov. Medicare customer service representatives are available 24/7 at: 1-800-633-4227. Illinois pumpkin yield hits 20-year high in Fall 2018. While pumpkin pie is the traditional centerpiece of Thanksgiving desserts, pumpkin is finding increasing use in personal health and diet. As a close relative of the squash, processed pumpkin can be served in a variety of ways as a source of fiber and nutrition. 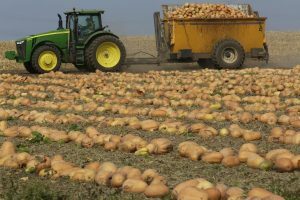 Crop reports say that the Illinois 2018 pumpkin crop is the best in the past 20 years, with pumpkin fields generating a record-breaking 27 tons per acre of the bright-orange crop. 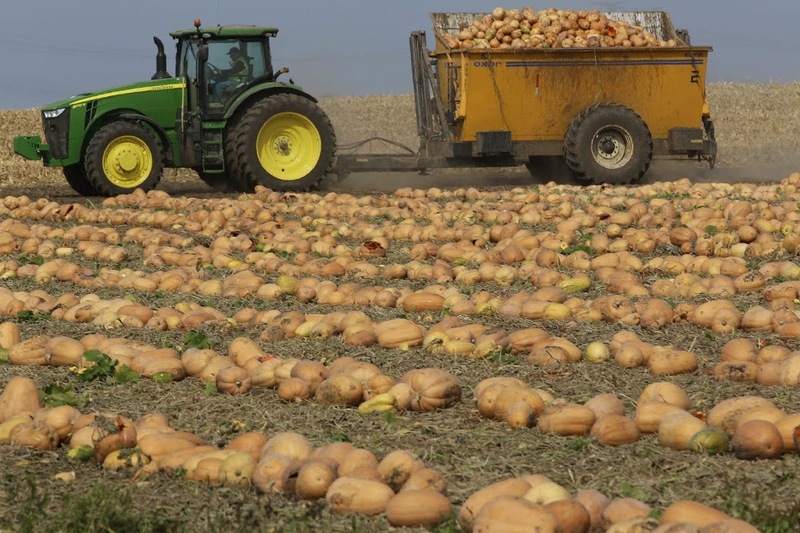 The Illinois pumpkin report is watched closely by representatives of supermarket chains nationwide, as few American canneries and processing plants have equipment to slice and process pumpkins. More than 90% of the processed pumpkin sold through mass-market retailing establishments in the U.S. comes from two plants located in Central Illinois. A combination of generous rain and adequate fall heat maximized the size of the 2018 Illinois pumpkin crop. University of Illinois economic development experts are turning their attention to the maximization of pumpkin-oriented outdoor tourism and farm experiences. A pumpkin patch can often be combined with a corn maze and with other Illinois-oriented farm attractions, such as an apple orchard or petting yard, to create a family-friendly destination. The Illinois bicentennial, observed this year, will include a celebration of the American president elected 150 years ago. In Illinois’ first half-century of life as a U.S. state, the Land of Lincoln was the political base of not one but two men elected to the White House. General Grant was the first Illinois man to get elected to the nation’s highest office and then serve two full terms. Most Americans will be familiar with him as the face of our $50 bills. Grant was living through personal challenges in early 1861. His family, based in Galena, Illinois, had taken him in and helped him find work as a clerk in his younger brothers’ leather-goods store. The onset of the Civil War created new opportunities for the 38-year-old, a graduate of the U.S. Military Academy at West Point. Grant presented himself in the state capital, Springfield, and after overseeing the organization of a stream of volunteer military regiments, he was commissioned as a colonel and asked to command the rambunctious 21stIllinois Regiment. Grant rose rapidly through the Union Army ranks, commanding Northern armies in great victories at Fort Donelson, Vicksburg, and Chattanooga. After a hard-fought campaign in Virginia, General Grant was able to accept the surrender of the Confederate commander Robert E. Lee at Appomattox. A grateful nation nominated Grant in 1868 as one of the two major candidates for the Presidency. As a candidate, Grant returned to Galena and he and his staff used the Illinois river town as his campaign headquarters. Galena volunteers took steps this week to plan a recreation of the election of Grant to the U.S. Presidency. Visitors will be encouraged to cast ballots and cheer for their favored candidate in the first presidential election to be held after the preservation of the Union in 1865. 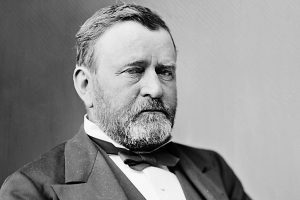 The recreation experience will be presented to the public at the Ulysses S. Grant Home State Historic Site, an Illinois heritage site operated by the Illinois Historic Preservation Agency. Clicking telegraph instruments will announce to Galena the joyful news that their hometown hero has been elevated to the nation’s highest position. In real life, the election of 1868 was followed by a victory parade to the local train station. The nearby railroad right-of-way, along the Galena River, will recall the triumphal journey that the president-elect took to take the oath of office in spring 1869 in Washington, the national capital he had defended as a Union general less than four years earlier.